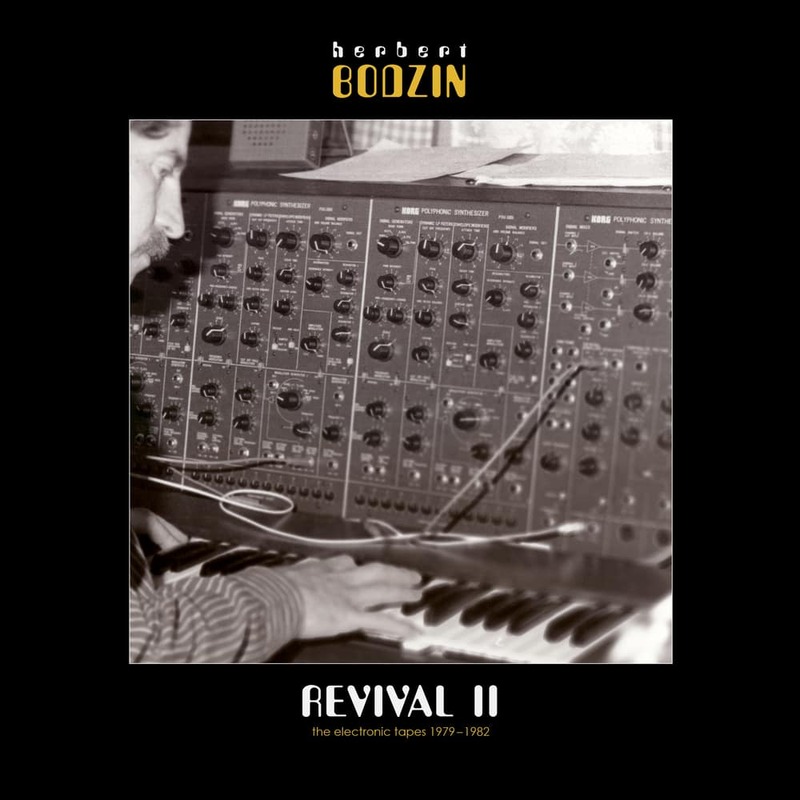 Herbert Bodzin’s Revival II features completely unreleased electronic music which was recorded between 1979 and 1982. The recordings – originally entitled “Multi Art – Electronic Sounds” – luckily survived on a cassette tape after an arsonist set fire to Bodzin’s house and burned it to the ground in September of 1986. His wife as well as his four children were safe, but an incredible array of expensive early synthesizers and studio equipment as well as nearly all of his recordings were irretrievably lost. Bodzin recalls today that he had at least 10 times more recorded material on original reels. The cassette title Multi Art was the original name of a band project which additionally featured Bernd Hollendiek, as well as Bodzin’s two sons, Stephan and Oliver Bodzin. Most of the music they performed was completely synthesizer based while Oliver Bodzin played drums on a few tracks. Other tracks are Hebert Bodzin solo recordings. Coming from a jazz background (as you can hear on the first volume of Revival), Bodzin’s compositions were different and unique, featuring diverse styles. The songs are a mixture of mostly ambient, deep, psychedelic, yet experimental and futuristic sounds as well as the more vibrant recordings that featured the complete band with his son Oliver on drums. Most interestingly, all tracks were live, one-take recordings without any overdubs. Keeping that in mind, it’s almost incredible that the sound is still so massive and powerful. Unfortunately, aside from a couple of live performances on local festivals, the music was never released to the public back then. Bodzin’s long term goal was to publish the best of the songs, but being a father of four kids, he was overworked with his successful business of steel art. Time for finalizing and finishing a complete album back then simply wasn’t available. The 9 songs on the vinyl version of Revival II as well as the two additional songs on the digital version were first captured from cassette by Mr. Bodzin himself about 10 years ago and restored onto CDr. Since the original tape was lost, we were bound to the audio on CDr. Remastering was tricky due to lots of tape delays and slight hissing sounds which happened through the original audio rip, but we think you will agree that the final result is brilliant and astonishing. Track 9 – contains material which utilizes a limited amount of the available bandwidth.